VW Settlement Update: the Environmental Mitigation Trust Agreement Finalized! A Trust Effective Date must be established no later than October 3rd, which means NYS will soon be soliciting feedback and developing a plan for distributing funds. 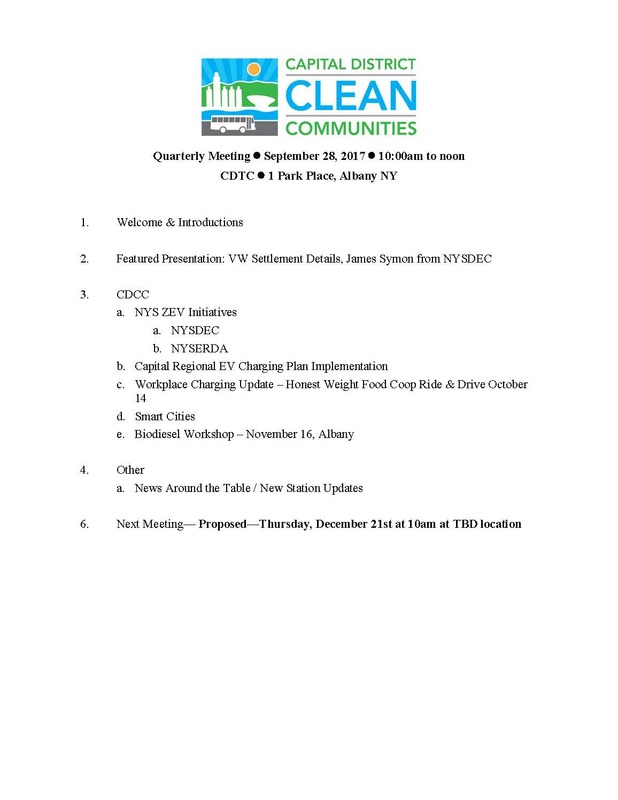 Come learn about the VW Settlement and NYS DEC’s plans on Thursday, September 28th at 10:00AM at the Capital District Transportation Committee’s office in Albany.